Which is better for your health? The fast-paced, frenetic city life, or the quiet, laid-back lifestyle of rural living? While the choice between city living or country life often comes down to personal preference, there are major benefits to both. Opponents to big city living will tell you about the stress induced by living in the fast-paced rat race of a big city. The pollution, the expensive housing, busyness and lack of community are all cited as reasons why city living can impact negatively on health. But there is a reason why 85 percent of Australia’s population live in urban areas, of which over 16 million (or 67 percent) live in one of our eight capital cities. And that’s because city living also has its advantages. 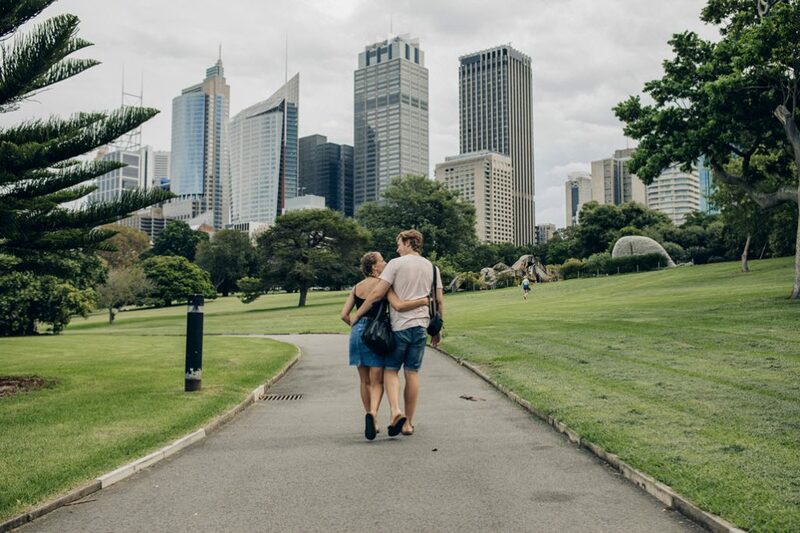 The two main advantages of Australian urbanisation, according to a recent Oxford University Press report, are economic and social. The economic advantages include better access to employment, training, education, trade and a higher income. The report found that three-quarters of all jobs were based in Australia’s major cities and that the income generated within those cities, accounted for approximately 80 percent of the total economy. Thanks to the sheer numbers of people living in a small area, the report also found that cities offered greater social advantages. This means city dwellers have access to larger ranges of essential goods and services such as schools and health care and non-essential services such as cinemas, major sporting arenas or art galleries. So city living offers more convenience, amenities and entertainment options. But how do these relate to health? In numerous studies, positive emotions and, importantly, the absence of negative ones, are linked with better health and greater wellbeing. Harvard Medical School found that long-term positive emotions can help people live longer and generally live happier lives. Furthermore, techniques to lower stress by immersing yourself fully in everyday activities and doing good for others, reduced the long term risk of health problems. Sunlight, fresh air, the great outdoors and a good degree of physical activity: that’s how many picture life in the country. While a tree change may seem appealing, would leaving behind the convenience of the city make you happier and healthier? The Australian Unity Wellbeing Index has been collating information, in conjunction with Deakin University, about what makes us happy, since 2000. In their report, appropriately titled ‘What makes us happy?’, it was found that people who live in the country are happiest. A stronger sense of connection to community led to a greater degree of happiness for people living in rural or regional areas of Australia—provided those areas were not too remote. With the advent of digital technologies, many things that were previously thought to be disadvantages about living away from big cities, such as entertainment or shopping options, are no longer an issue. Online shopping has opened up a vast array of retail choices for those living in regional areas, offering just as much choice as their city-dwelling cousins. Likewise, services like Netflix and Stan offer endless entertainment (provided good internet services are available). Free communication options have grown too with the likes of WhatsApp, Skype and Facetime, making it possible to link easily to more remote areas. Although choices are still more limited, many university courses can be studied as effectively online as they would in a lecture theatre in the middle of the city. In a report released in August 2017, The Grattan Institute found that while people in cities tend to have higher incomes, income growth in regional areas has kept pace, and the gap is not getting wider. The Institute also found that while employment varied between different regions in Australia, it was not noticeably worse in rural areas. This trend was expected to continue due to the fact that the population tends to increase more slowly in these areas, meaning small towns often have a longer time to react and cater to their increasing population. Essentially, the differences in city and country amenities and the advantages and disadvantages that each lifestyle brings, are being eroded by technology, so in order to be healthy and happy, it comes down to what you value most. Whether city or country, there are fierce supporters of each way of life and the health benefits of both. While there is no definitive answer to which is best, it may just come down to individual preference, circumstance and most importantly, what makes you happiest and healthiest.